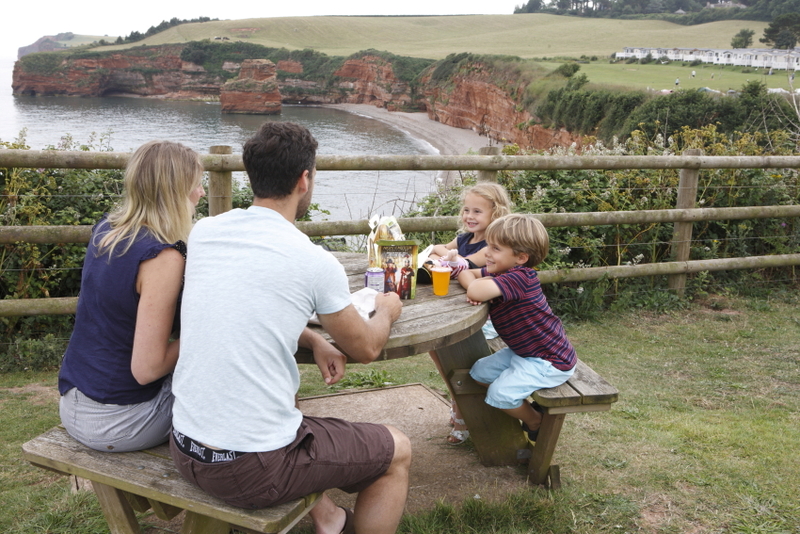 Fresh produce, served in spectacular settings – that’s what you can expect at Ladram Bay Holiday Park. 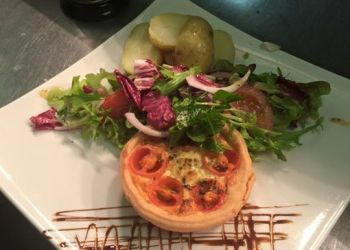 We use as many locally-sourced ingredients as possible, and with our extensive menus we do our best to cater for every palate. 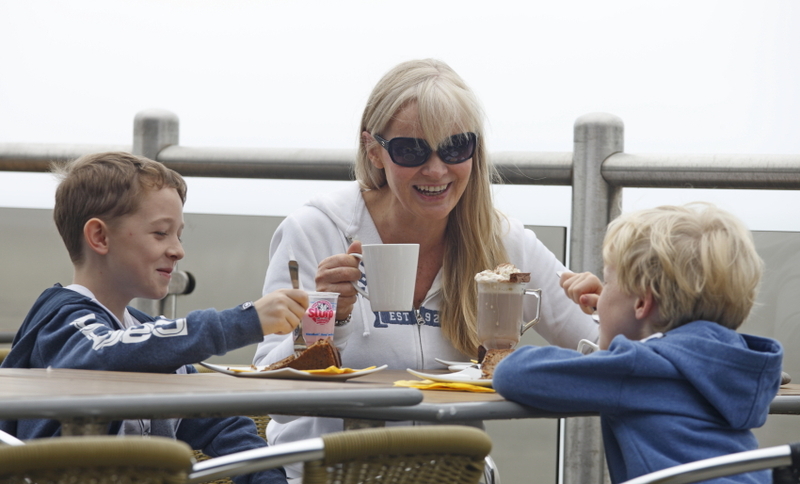 We also ensure that kids are well provided for in each of our three eateries. 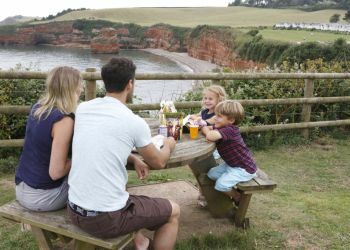 Read on for more information about where to eat in Ladram Bay Holiday Park. The chefs at Pebbles Restaurant have created dishes for every appetite. 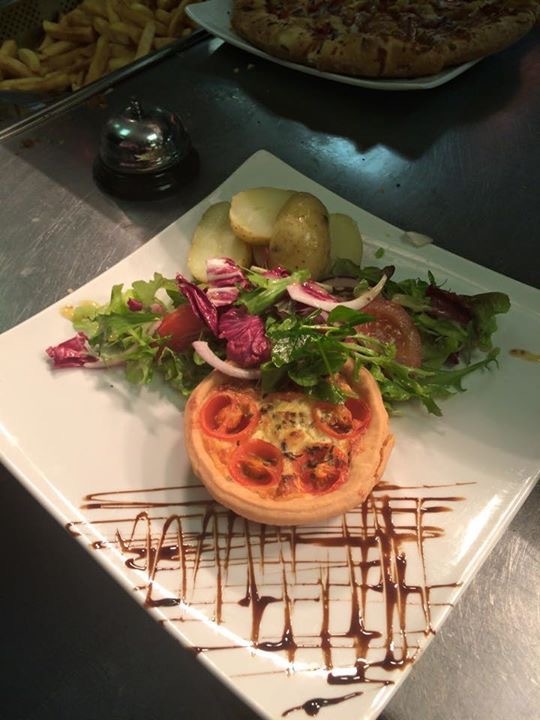 Fresh local seafood and Devon-sourced produce is the order of the day. 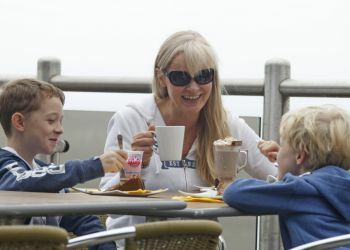 In peak season the restaurant is open seven days a week from 9 am to 9 pm, serving breakfast, lunch and dinner. 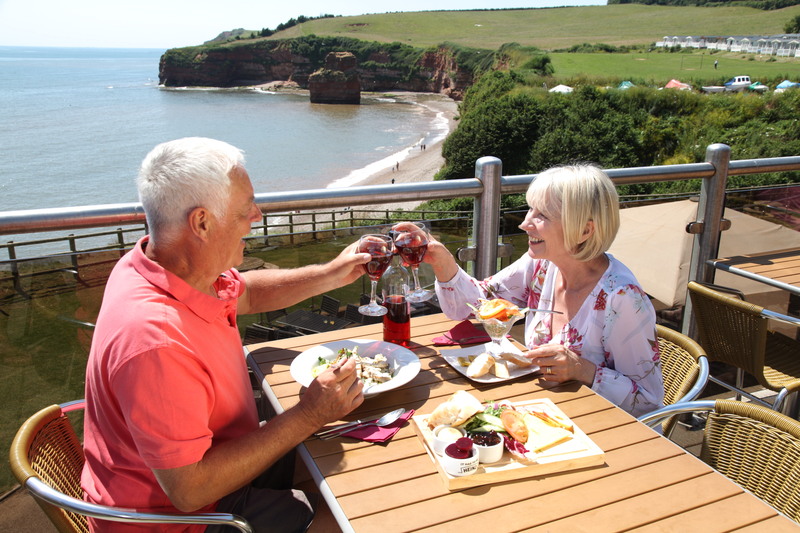 The unbeatable views from Pebbles Restaurant make it an excellent choice for romantic meals. 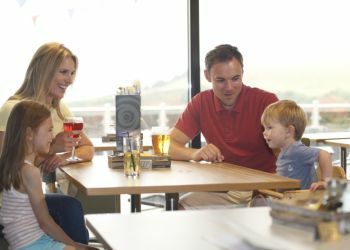 Its varied menu and hearty dinner options make it ideal for families, too. 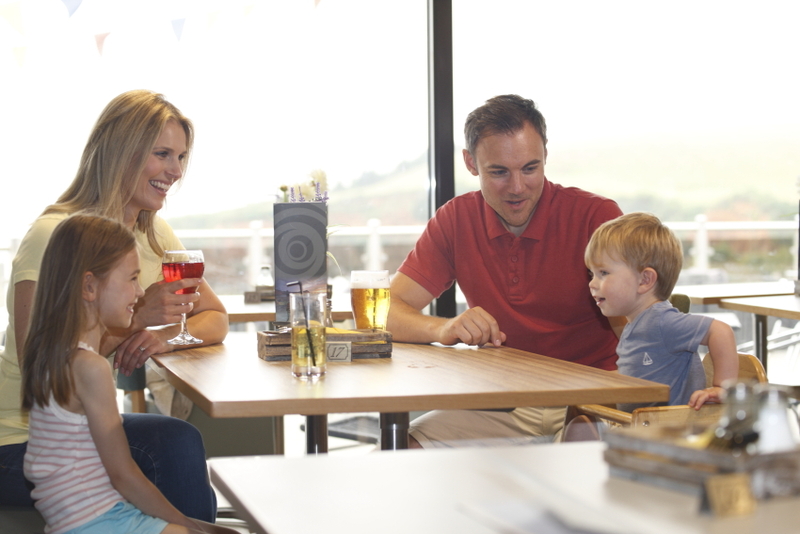 You’ll find Pebbles Restaurant In the Three Rocks complex, where all our evening entertainment takes place. 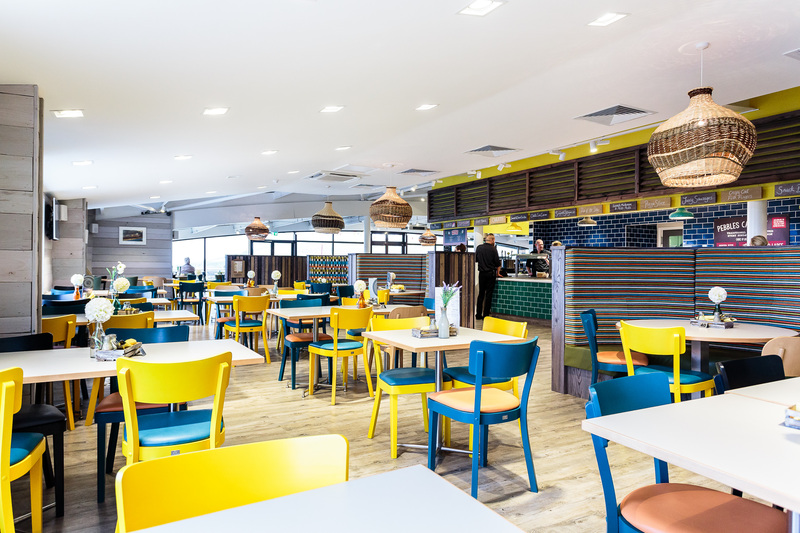 Find out more about Pebbles Restaurant here. 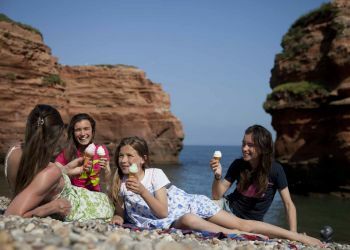 For sweet and savoury snacks on the beach, the Seaview Shack has a wide selection. 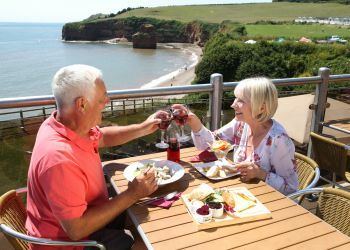 From crispy, freshly-filled baguettes to cool drinks and ice creams, there’ll be something tasty to keep you from having to stray from your favourite spot by the sea. 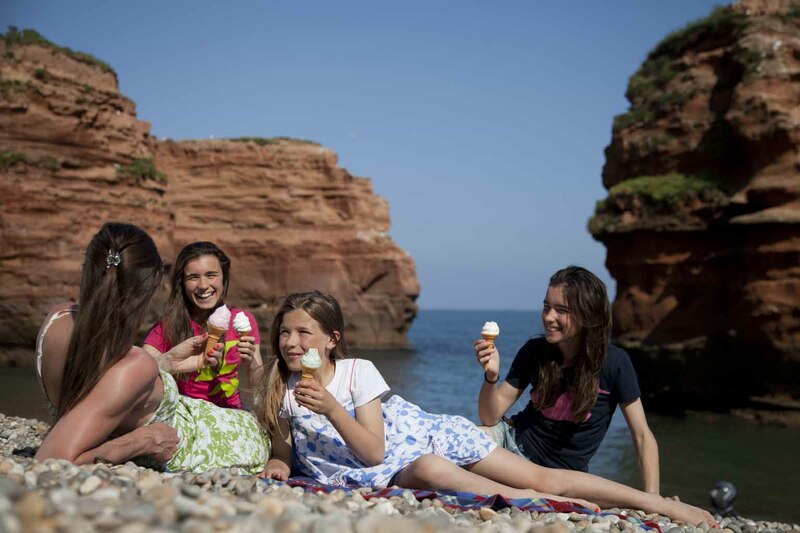 No beachside holiday in the UK is complete without a trip to the chippy. 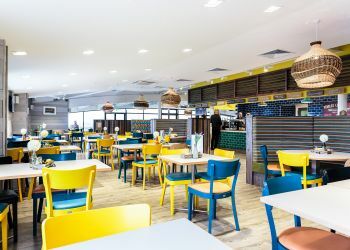 The Coast Takeaway in the central shopping complex is the place to head for fish and chips and other classic comfort foods, like sausages, burgers, and spicy fried chicken wings.